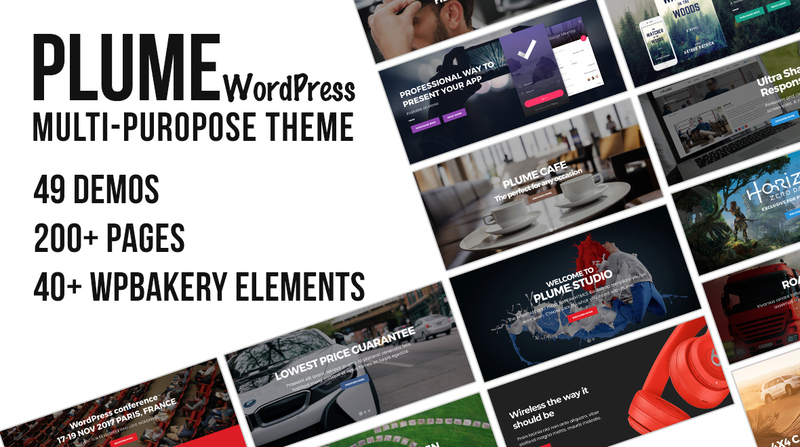 PLUME is a powerful WordPress theme, with over 200 pages. It’s suitable for a Mobile APP, Barber, Blog, Book, Cafe, Car Rental, Carpenter, Cleaning, Conference, Construction, Consulting, Corporate, Dance, Dentist, Dive, Finance, Games, Gardener, GYM, Hotel, Landing Page, Lawyer, Logistics, Mechanic, Medical, Moving, Music, Pets, Photography, Plumber, Portfolio, Restaurant, Resume, Safari, School, Shop, Single Product, SPA, Taxi, Travel, Web Service, Wedding, or Yoga website. 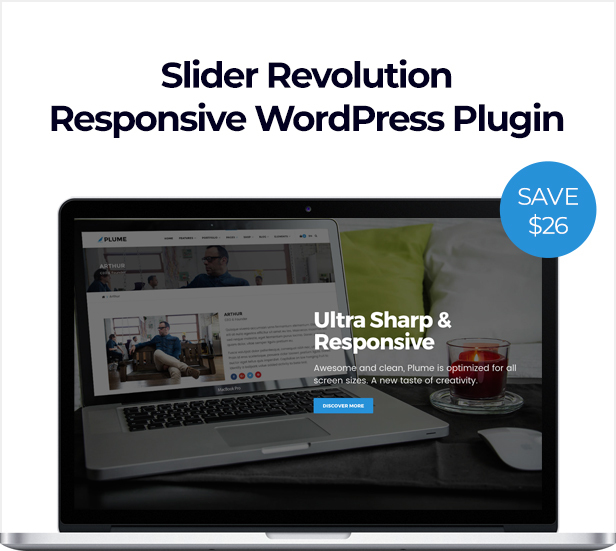 It includes four different notification layouts to attract your website visitor's attention in a creative way. 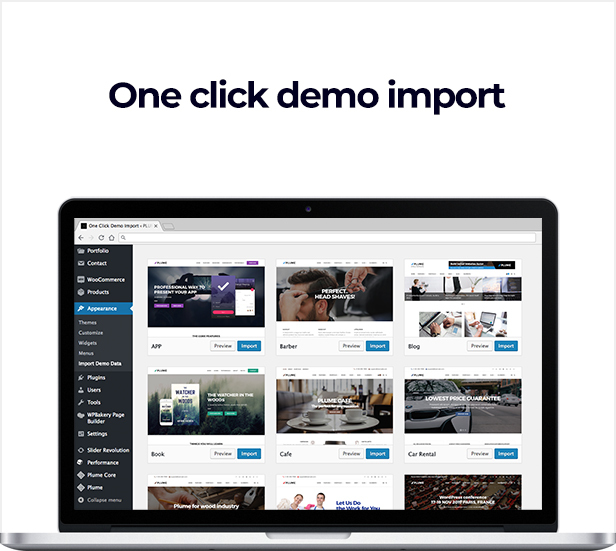 PLUME comes with 49 Pre-made demos, but you are free to create your own, with 40+ WPBakery Page Builder for WordPress elements, customization never been easier. 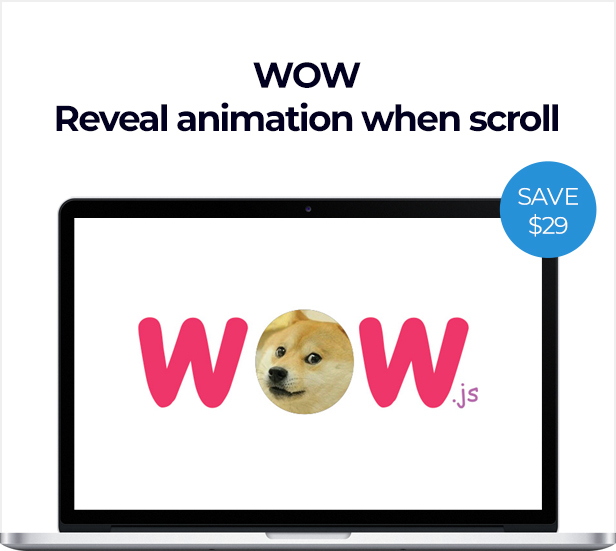 It’s fully responsive, flexible, clean, with a professional design. 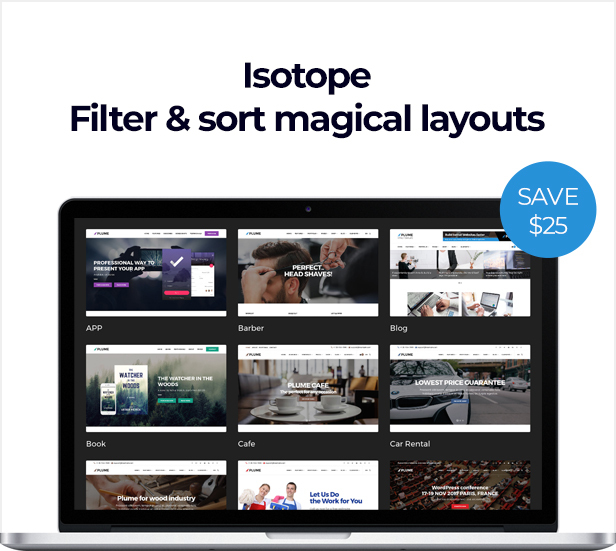 It is Search Engine Optimized and comes with an advanced framework with tons of powerful and flexible theme options, in order to make your life easier and allow you to build your site very quickly. 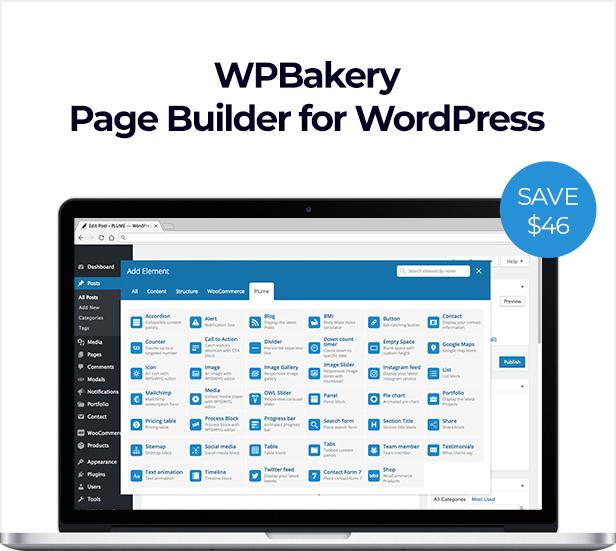 Also we have included WPBakery Page Builder for WordPress which gives you freedom to create awesome websites with almost any layout you can imagine, in only couple of clicks, and will save you tons of time working on the site content! The only limit is your imagination. 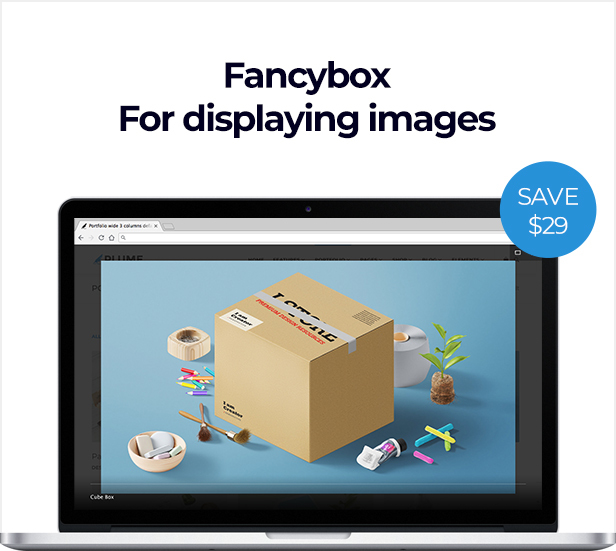 Note: All images are not included in the downloaded file (you will find a placeholder image instead).